Two of the best performing articles I’ve ever written were Unsolicited Music Demos: How to Get in the Door of a Record Label and Record Labels That Accept Unsolicited Demos. This has consistently been the case for nearly five years. It shows that artists are still desperate in trying to unlock the secrets of getting a record deal. The points I made in those pieces are still relevant and I would suggest reading those first. Confidence. Knowing what makes you special and different than anyone else will help separate you apart (instead of constantly trying to compare yourself to others). Clear direction: Know what you want, have a clear path. They want to know that you have a future – and that you plan on getting there with or without them. A good pitch: Instead of using gimmicks or one-liners to get attention, you can give a compelling reason why they should take your call. If label hunting is like going for a serious relationship, then you shouldn’t be using mass copy and pasted messages to everyone out there. You should be doing your research to find out who would make a good match and explain why. If you’re just going for any record label, you’re essentially going for none. However, if you want specific companies because you have a crossover audience and share common values, you’ll want to make that expressly clear. Otherwise, they’ll just be swiping left. 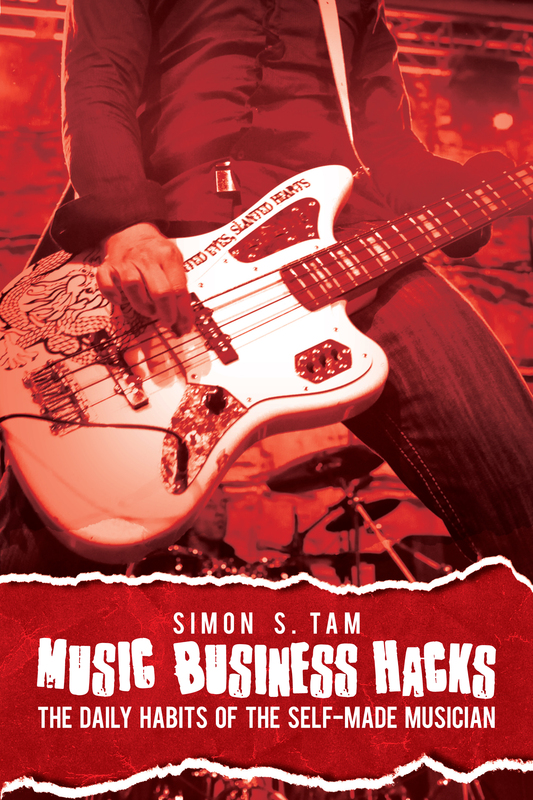 Too many artists are using the shotgun approach for getting a booking agent or a record label. These folks are casting a wide net, thinking that through repeated, blanket messages, they might secure a quick phone call that will lead to a deal. They think this is a shortcut, that it saves time instead of playing the long game of building relationships and extending value to others first. It’s true: it is easy to copy and paste repeated messages or just to BCC everyone in a contact list. But the reality is that this “shotgun” approach isn’t effective at hitting the target. The reality is that shotguns are only effective at close range. In other words of a deal, it requires a warm introduction, a reputation for giving to others. If you want to hit something far away, you want to use a laser, something that will save both parties time from sorting out the clutter. Answer the following: what is the goal of an A&R rep or label owner? How can working with you meet that goal? Are they able to reach that goal with another more established or well-resourced artist? Even if you had the right contact, are you ready to tour six months a year without a guaranteed income (typical for many initial deals)? If you can address some of these initial concerns while speaking with a contact, your chances of success will increase greatly. Ask not what your label can do for you – ask what you can do for your label. Whether you strike a deal or not, you want to constantly find ways to bring them value, even with just an email exchange. Hone in on helping others with their goals. If you’re approaching labels, you’ll want to track when/where you spoke to them last. Begin by having a spreadsheet where you can keep notes and follow up in regular intervals without being annoying. If you’re ignored, it’s OK to be persistent, as long as you’re giving them a unique, compelling reason to respond to you. Again, claiming that you are unique or hardworking isn’t enough. Don’t tell them show them. There are many stories about acts who do creative things like shipping demos with a prosthetic foot attached (with the note “Now that I’ve got my foot in the door…”). These might help you stand out initially, but if the product fails to impress, you’ll be forever remembered as the artist with the foot in their mouth. Instead of only relying on A&R reps to find you or paying to play at a music festival where they’re supposed to be (i.e, pay to play stages at SXSW), try doing things like working with an attorney that has solid relationships with labels. More often than not, attorneys are introducing and brokering deals for artists these days. Catch their attention by doing something press-worthy and inviting them to a cool media showcase (instead of regular show) or build up your influence in Linkedin groups where they network. You can invest money into a slick video that captures their attention, then use Facebook targeted ads to focus on employees of record labels (better use of your money than a pay to play stage). Just get creative – and be sure to have a product that is worthy of mass rotation the radio now. Labels are Always Accepting Submissions. And Never Accepting Submissions. Most labels will clearly state that they are not accepting submissions. Despite this, artists will pour their demos in. I remember visiting Sony Music headquarters in New York and seeing entire shopping carts of unopened demos – at the time, employees were taking them to local record stores to sell them as used discs and get credit. But the reality is that if there is a compelling enough artist, the door is always open. That begins by proving there is value in that exchange. And that only comes by demonstrating a consistent work ethic and history, solid fan base, and the unique feature that really makes an artist stand out from the rest.